M.P. Power Generating Company Limited, a successor power generating company of erstwhile M.P. 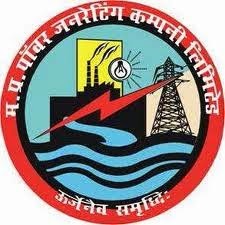 State Electricity Board (MPSEB), is having its Thermal and Hydel power stations located at various places in the State of M P. The Company intends to induct Executive Trainee (Mechanical / Electrical / Electronics / Finance & Accounts), Junior Engineer (Trainee), Plant Assistant (ITI) Trainee, & Fireman of various disciplines indicated below, for Operation & Maintenance (including panel operations), construction and other support functions, for the existing and upcoming Thermal and Hydel Power Stations of the company. For Junior engineer trainee:Full time Diploma in Mechanical Engineering / Electrical Engineering / Electronics / Instrumentation / Electronics & Telecommunication / Electrical & Electronics Engineering from recognized university / institute with 65% aggregrate. Application fee: Non refundable Application fees (inclusive of porta l charges) for Unreserved / OBC candidates shall be Rs.1000/- and for SC/ST/PD candidates, it shall be Rs.250/- o nly.